Exxon Neftegas Ltd awarded a contract to Heerema Marine Contractors BV for the transportation and installation (T&I) of the Arkutun-Dagi (integrated) topsides. 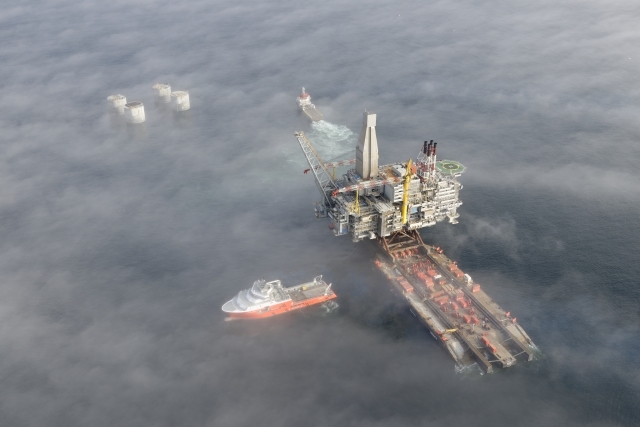 The Arkutun Dagi platform location is in the west-central portion of the Arkutun Dagi License Block, offshore Sakhalin in the Russian Federation. The site is approximately 25 km east of Chayvo Onshore Drill Site. 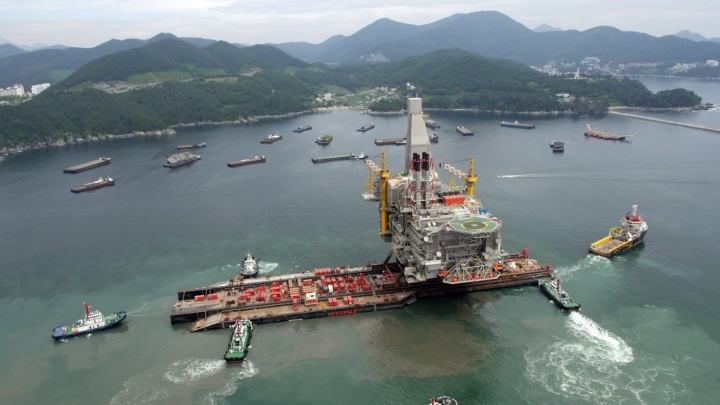 The scope of work covered the design, preparation and installation of four leg mating units (LMUs), the EPIC scope for two spool pieces installed at the same time as the LMUs, and the installation of the 43,000-tonne Berkut topsides. 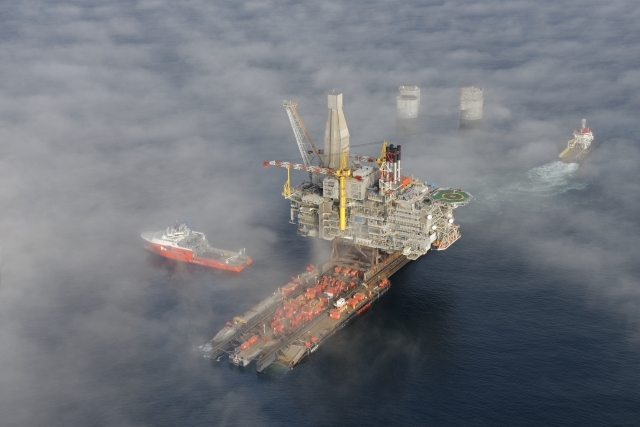 The offshore installation of the LMUs and tie-in spools in the Gravity Base Structure took place in July/August 2012 after the installation by others of the Gravity Base Structure (2012). 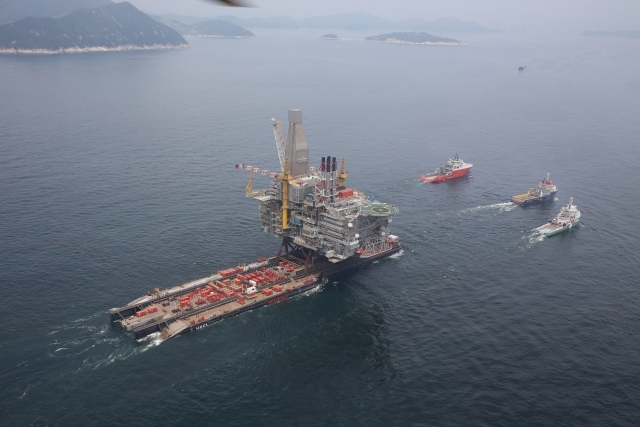 The topsides were fabricated by DSME in Okpo, Korea and installed by float-over method with the barge H-851. This installation was performed in June 2014.